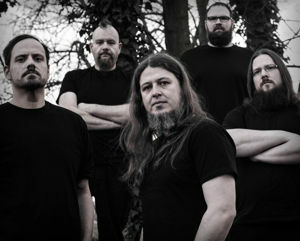 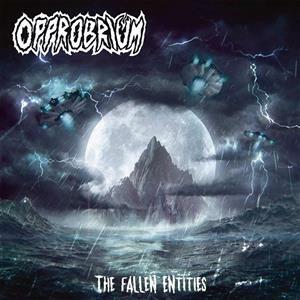 CARNATION begleiten SCHIRENC PLAYS PUNGENT STENCH bei der kommenden Europatour, ebenso sind THEOTOXIN und IRDORATH an Bord. CARNATION kommentieren: "Viva La Muerte, Baby! 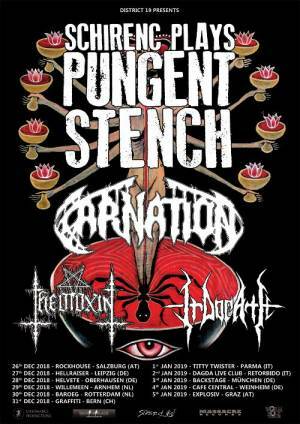 We're joining SCHIRENC PLAYS PUNGENT STENCH on tour this winter as direct support for two busy weeks in the Central part of Europe together with THEOTOXIN and IRDORATH. Christmas and New Year are now officially cancelled! We're looking forward to our debut performances in Switzerland and Italy, and to visit some new areas in Germany and Austria. See you all on the road soon!" 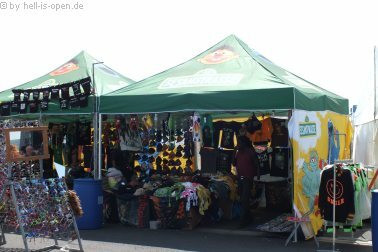 Auch die Sesamstraße verkauft beim PSOA Merch? !